In my latest In Good Faith column I talk about fear -- and jumping out of airplanes. What is your greatest fear? Spiders? Ghosts? Confined spaces? Clowns? If pushed, we can all come up with at least a few things that give us the willies. I was thinking about my greatest fear in light of last week’s 70th anniversary of D-Day: heights. 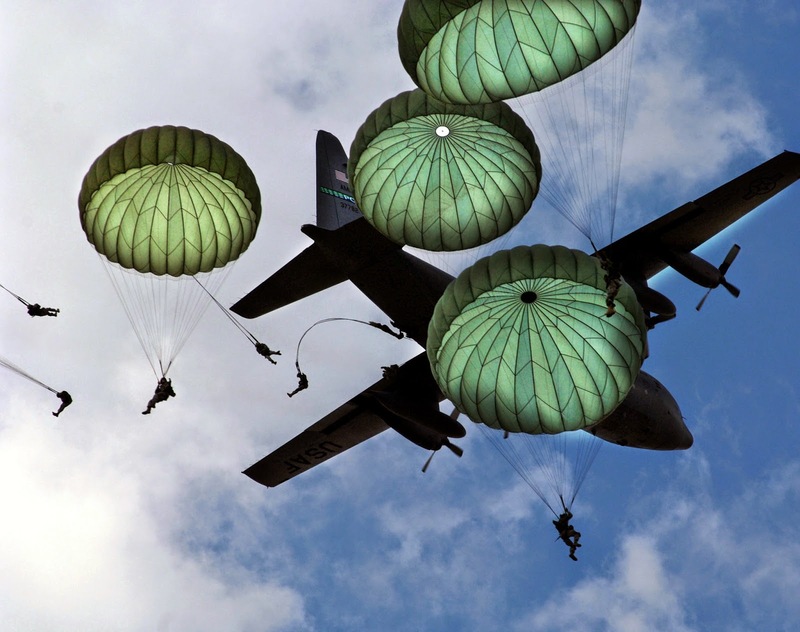 Those World War II-era paratroopers of the 82nd Airborne were a special breed, jumping into a combat zone and then fighting their way out. Fear is one thing but how you deal with it can be a commentary on faith. In my case, I decided to lean into my fear of heights rather than avoid it. 25 years ago this August I found myself at Fort Benning, Georgia, having volunteered to go to Airborne School. 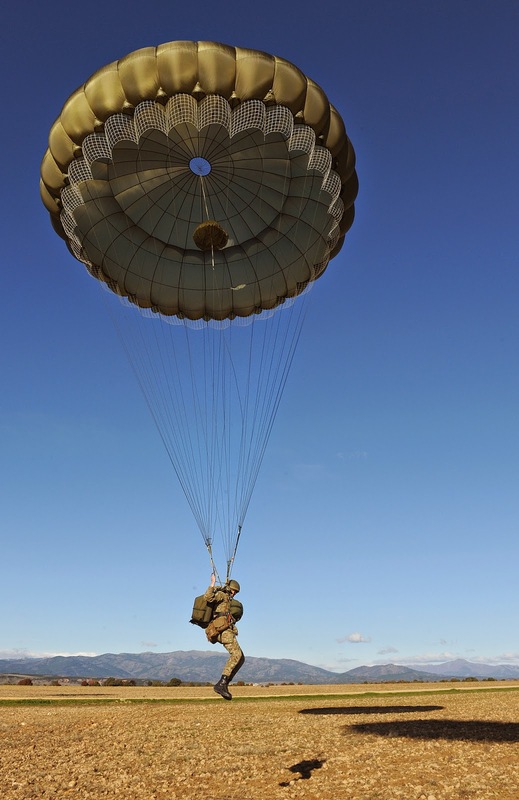 At the time I was an Army ROTC cadet attending Tufts University and, being afraid of heights, naturally I decided I needed to jump out of an airplane. I’m still not sure why but then again, joining the military in the first place wasn’t exactly part of a lifelong plan. It’s not like I came from a long line of soldiers -- after getting drafted my father played the clarinet in the Army Band. Reflecting back, I think it was an innate need to serve or give something back and joining the military was something my 18-year-old mind could grasp. The “friendly” instructors stress two things over the first couple of weeks of ground training: how to exit the aircraft and how to land. Since it’s the equivalent of jumping off a ten foot wall, you spend a lot of time learning how to land. And while it’s painful, at least you’re still on the ground. Then I encountered a training apparatus/torture device called the 34-foot tower where you learn how to properly jump out the door. Why 34 feet? Because Army engineers determined this was the precise height where fear was maximized -- you’re not so high up that everything on the ground looks fake and you’re not so low that it looks safe. When it’s your turn, you get hooked up to a harness and free fall about four feet before your line catches and yanks you back down on a zip line. During the third week, if you make it that far, you make five jumps to qualify for your Airborne Wings. When you’re actually up in the airplane and standing in the door, it’s loud, it’s windy, it’s unnerving and then suddenly the green light goes on and you leap out into what feels like the abyss. It is quite literally a leap of faith. And isn’t this what the spiritual life feels like some days? We’re all working without a net, seeking to confront our fears, seeking to do our best. It’s important to remember that even in the midst of fear, the divine is present. Even when we feel God-forsaken, we’re not. This doesn’t mean we never succumb to our fears but it does mean God is in the midst of our failures as well as our successes and there is comfort in that knowledge. After you leap out into that violent rush of wind, and your parachute opens up, the contrasting silence and peacefulness of the descent is remarkable. Of course, the ground starts to come up rather quickly so you can’t stay in this state of reverie for very long. The whole point of military jumps is to get as many people onto the ground in as short a time as possible so you’re only in the air for about a minute before reality starts to rapidly rise up to meet you. The ground reminds us that faith isn’t just about an individual, personal spiritual experience. We take the experience and hit the ground running -- sharing our faith with others; opening our hearts to one another; and becoming part of a faith community that acts as God’s own hands and heart in the world. Fortunately for me, this all takes place on terra firma because, while I know I can deal with them if I must, I still don’t like heights. I admire you for having joined and having jumped. As the saying goes: I am not so much afraid of heights as I am afraid of falling from them. This is one leap of faith I would not ever be able to take. I'd have a heart attack and die first! 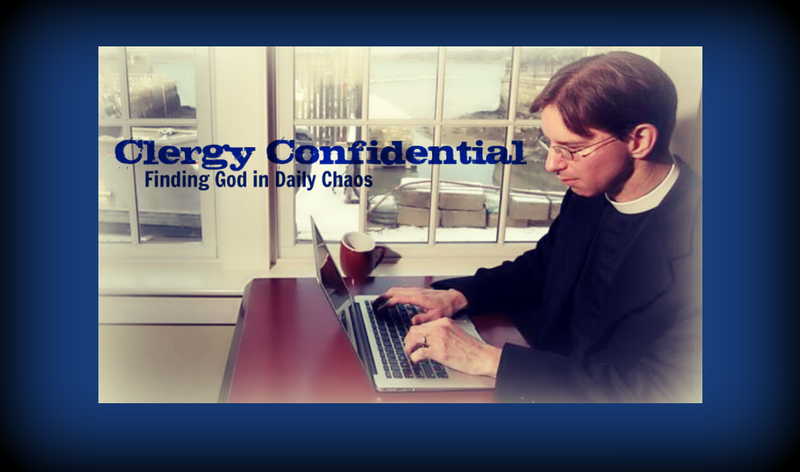 Where is God's authority recorded? Most denominations who use creed books AKA denominational church catechisms, use those creed books as the final authority for faith and practice. The question is, if church creed books are used as the authoritative book, why read the Bible? The ironic thing about churches who use creed books is, they try to use the Bible to support their denominational creeds. If creed books are used as the rules for faith and practice, then referencing the Bible rings hollow. There is not one denomination that has written one verse of the Bible. Denominations write creed books. God does not write creed books. John 14:23 Jesus answered and said to him, "If anyone loves Me, he will keep My word: and My Father will love him, and We will come to him and make Our home with him. Jesus did not say if anyone loves Me, he will keep the words of the church catechism. 1 John 1:4-6 .....as we received command from the Father......6 This is love, that we walk according to His commandments. This is the commandment , that as you have heard from the beginning, you should walk in it. We are told to walk according to the commandments of God. There is no commandment that says to walk according to church creed books nor new books of revelation written by men. If your church catechism AKA creed book, or your so-call book of new revelation contradicts doctrine that is found in the Bible, then one of two things is true. 1. The Bible is in error and therefore cannot be trusted for faith and practice. 2. Your creed book or book of new revelation is in error and cannot be trusted as God's message to mankind. YOU CAN USE THE BIBLE AS GOD'S AUTHORITY OR YOU CAN USE MAN-MADE EXTRA-BIBLICAL SOURCES.